Need a plan for dinner? Want to make it in the crock pot? Cook the chicken breast strips covered in the jam mixture on low for 6 hours instead. 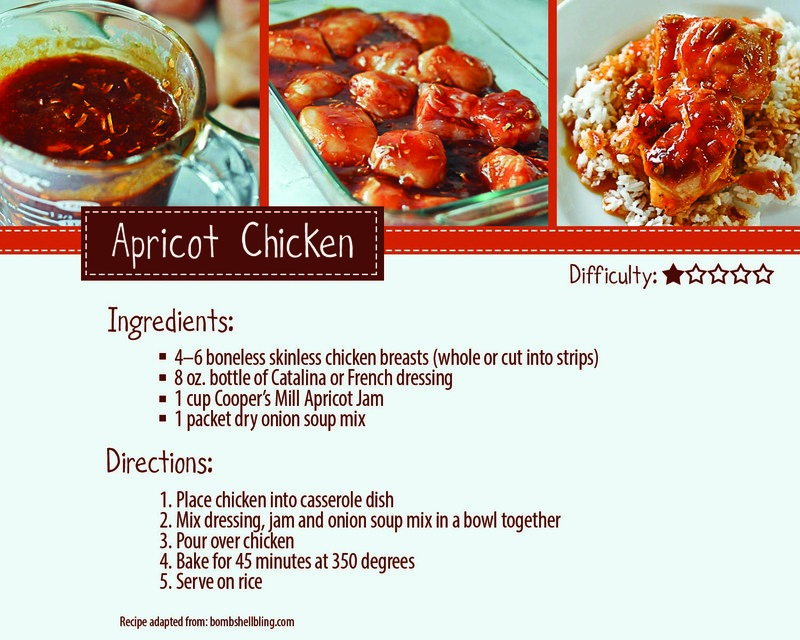 This entry was posted in Recipes and tagged chicken, cooking, crockpot, dinner idea, easy, Jam, Recipe. Bookmark the permalink. ← Up-cycle your frozen waffles!